Earn Three Fiber Optics Certifications In One Week! Get the experience you need. This comprehensive training hands-on learning CFOT (Certified Fiber Optic Technician), the CFOS/O (Certified Fiber Optics Specialist – Outside Plant), and the CFOS/T (Certified Fiber Optics Specialist In Testing And Maintenance). 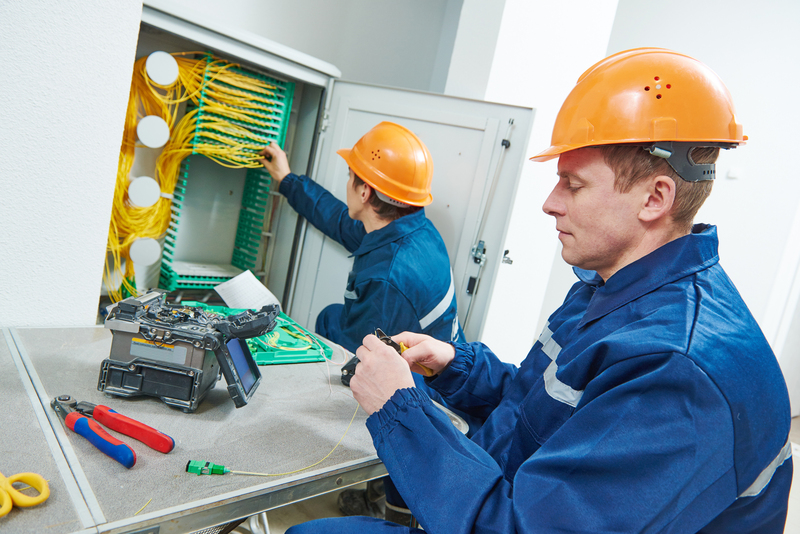 Learn more about fiber optic technicians and fiber optic cables. Fiber installation, splicing, and testing. Earn a fiber optics certification in as little as two days or get all three in just one week! In Detroit, Mich. alone, salaries for certified fiber optics technicians are 30% higher than the national average*. Our fiber optics certification program costs less than other programs available. * Certification test vouchers included in the class fee. Learn the importance of high performance splicing and the points necessary to achieve these splices. Participate in 85% hands-on classroom training in both fusion and mechanical splicing of either single or multimode fiber optic cables. Install spliced fibers into splice trays and enclosures. Included: All books, study materials, exams, and a 1-year membership to the FOA.